Getty ImagesTesla CEO Elon Musk. Tesla CEO Elon Musk has indicated that the Saudi sovereign wealth fund could fund a go-private plan. 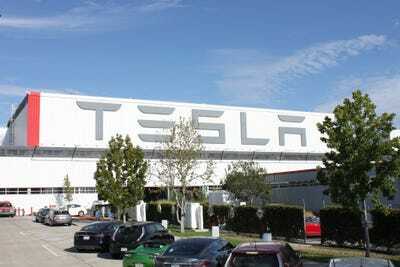 It’s unclear whether what’s formally known as the Public Investment Fund has the resources to take Tesla private. But the PIF’s goal is to diversify the kingdom’s investments away from oil. As the debate over whether Tesla CEO Elon Musk’s go-private plan for Tesla rages on, it’s worth it to take a closer look at the investor he suggested in his now infamous “funding secured” tweet and subsequent blog post would be his key partner in a delisting. Although Japan’s SoftBank was, according to Musk, one of several entities that had approached him about taking Tesla private, the focus has been in the Saudi sovereign wealth fund, known officially as the Public Investment Fund. If Musk truly thought he had privatization funding lined up, then it sounds as if the PIF was his best bet. Analysts and commenters were quick to note the irony of the world’s most famous electric-car company and the world’s most prominent oil-economy sceptic working with the world’s largest petroleum economy. However, that complaint overlooks that the PIF is supposed to diversify the Saudis away from oil. Over the long haul, the kingdom is aware that the crude will run out. Beyond that, oil as a transportation fuel might also decline in the 21st century. So what exactly is the PIF? It’s really two things, as far as its financial potential is concerned. The largest piece is Aramco, the Saudi state oil and gas company whose history dates back to the middle of the 20th century. Aramco takes its name from the Arabian American Oil Co., a World War II-era enterprise that synthesized US oil interests in the Middle East with Saudi Arabia’s geographical control of its oil resources. By the late 1980s, the Saudi government had effectively taken control of Aramco, whose value is now reportedly in the $US1 trillion to $US2 trillion range. The PIF was established in the early 1970s and until relatively recently had concentrated on investments inside Saudi Arabia. But a new plan called Vision 2030 and overseen by Crown Prince Mohammad bin Salman would change that, expanding the scope of the PIFs investments outside the kingdom. A significant amount of funding was supposed to come from an Aramco IPO – upwards of $US100 billion – but that IPO has been put on hold. That doesn’t mean the PIF won’t be funded. According to Bloomberg, the idea now is for Aramco to buy out a chunk of the PIF’s holdings, infusing the fund with $US70 billion. So what would this mean for Tesla’s go-private plan? Benjamin Zhang/Business InsiderTesla factory in Fremont, CA. The PIF isn’t going to sit on its funding, and if Musk is to be believed, a deal of over $US80 billion – Tesla’s equity price at $US420 per share and the company’s debt – isn’t on the table. His idea seems to be an equity transfer of authorised shareholders to private status, with a buyout of current investors who would be ineligible for private ownership due to regulations or prohibitions. That would mean a smaller stake from the Saudis, who have already acquired a 5% share of Tesla through public-market purchases. The big question that’s swirled around the Saudi-Tesla connection is whether the PIF can actually afford to do a deal. There is also a related issue: approval of any such massive investment from outside the US by the Committee on Foreign Investment in United States (CFIUS). I’m far from a CFIUS expert, but even though a Tesla go-private funding from the PIF would represent billions, it would be difficult to see even an entire buyout of Tesla as a threat to US national security. The company sold just 100,000 cars in 2017 and is scarcely enmeshed in the lives of American citizens. Tesla’s technology is innovative, but not unique. The basic engineering of electric cars has been understood for decades. You could argue that the PIF would be grossly overpaying for Tesla. But the PIF has already shown a willingness to be a significant shareholder. So overpayment doesn’t appear to be a concern. It’s also unclear whether the PIF would be the only major new private investor; Musk said he is looking for others. The PIF participation is logical: if you want to diversify beyond oil, the world’s premier EV company is a dramatic way to do it. Making big investments in Tesla has also paid off. Both Daimler and Toyota bought in after Tesla survived a brush with bankruptcy in 2008; when those companies got out, they booked considerable returns.